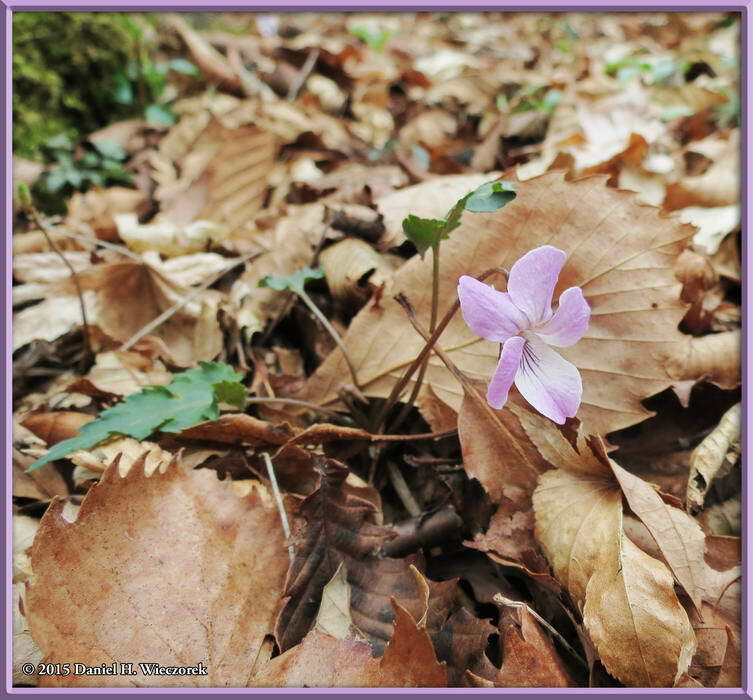 This is Page 3 of 4 - the best of April 2015! 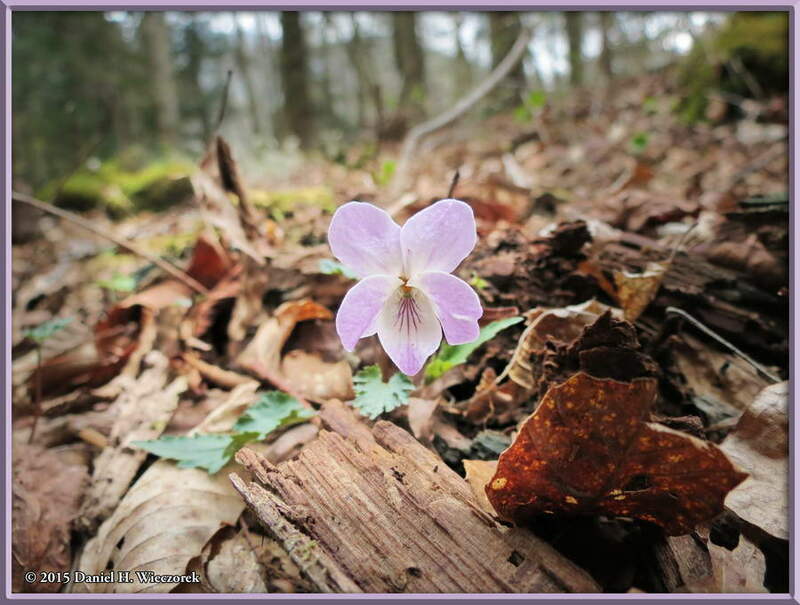 This page begins and ends with April 18th and a trip to Asagiri Kougen, in Shizuoka Prefecture, on a violets search. If you're interested, we were quite successful. Click on any thumbnail to begin. We took trains from our home station of Musashi-Sakai all the way to Mt. Fuji Station. 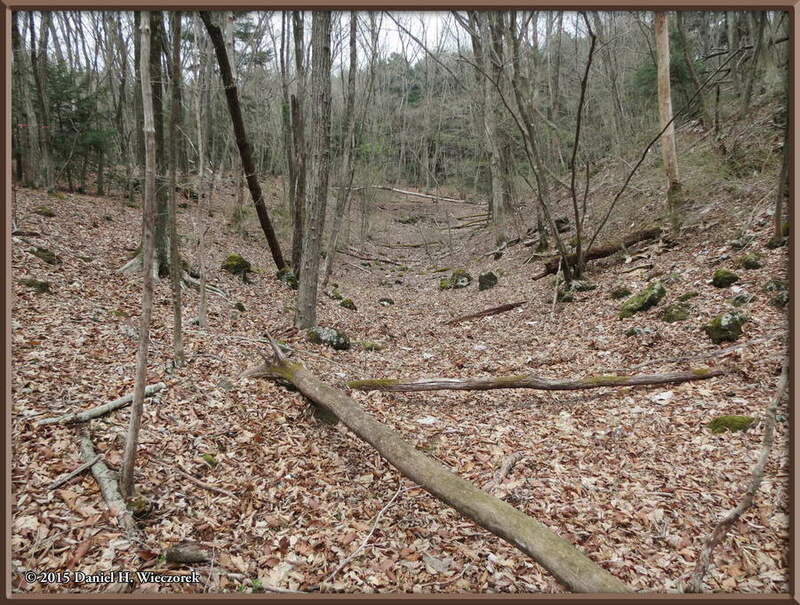 The first photo in this row was taken from Mt. Fuji Station. 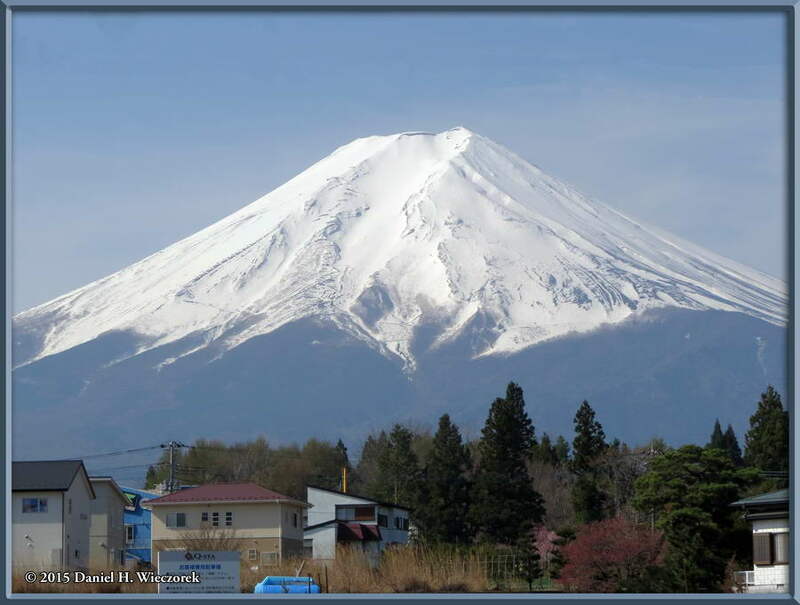 This city recently changed its name from Fuji Yoshida to Mt. 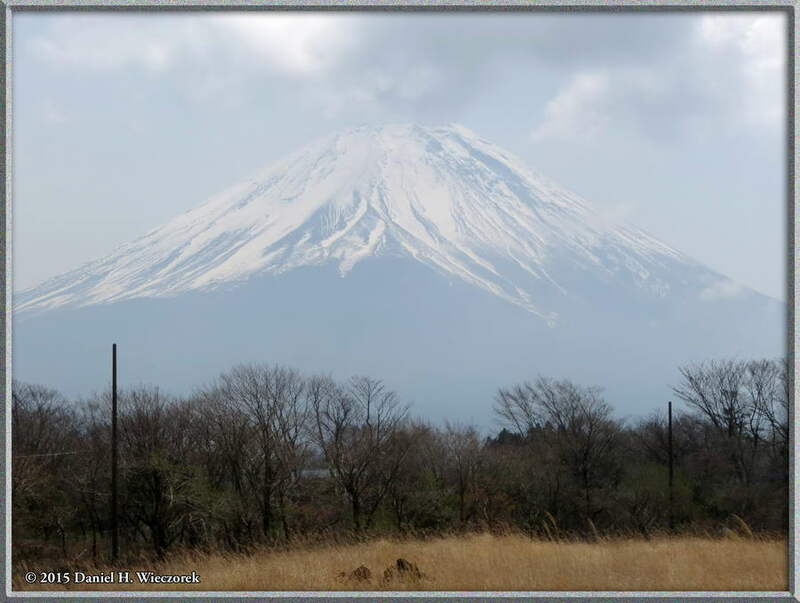 Fuji, which we think is quite silly - it's quite a ways from Mt. 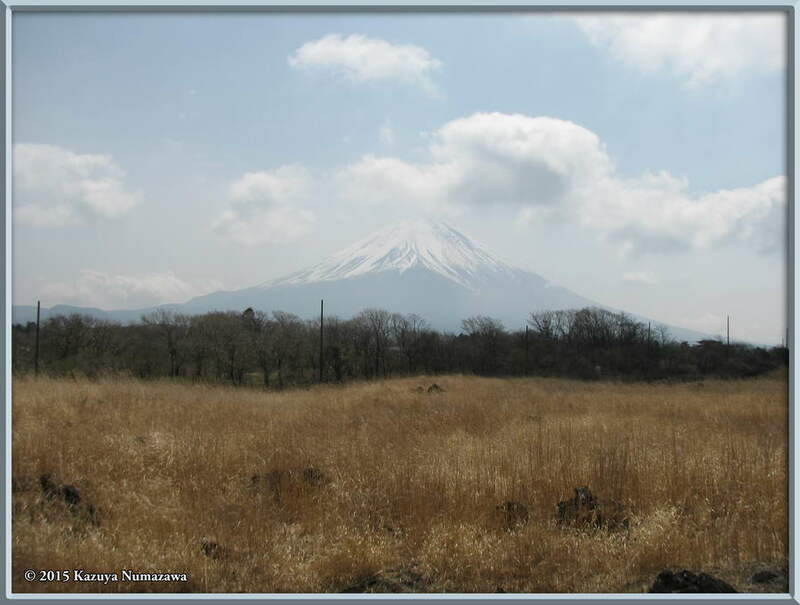 Fuji, as you can see from this photo. Anyway, from there we rode a bus for about an hour and got off at the "Prefecture Boundary" bus stop. 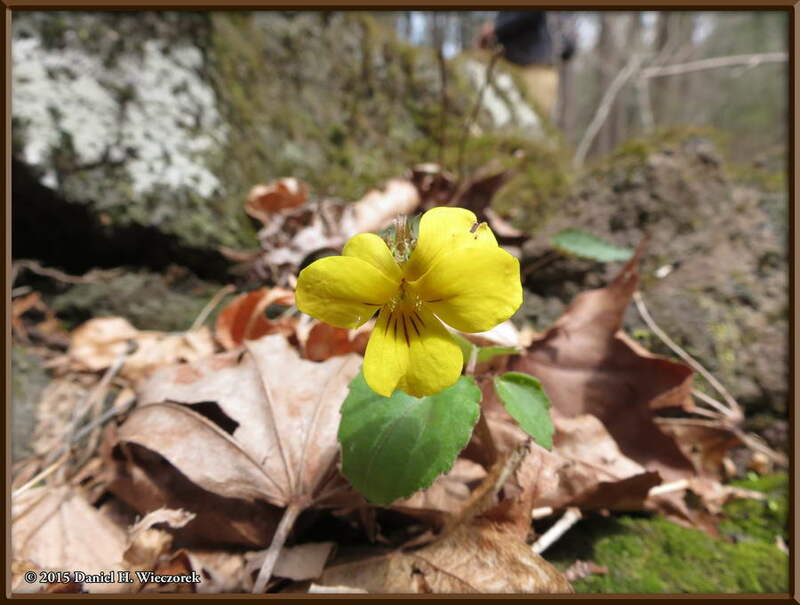 Within just a few minutes we found these yellow violets - Viola orientalis. Off to a good start! 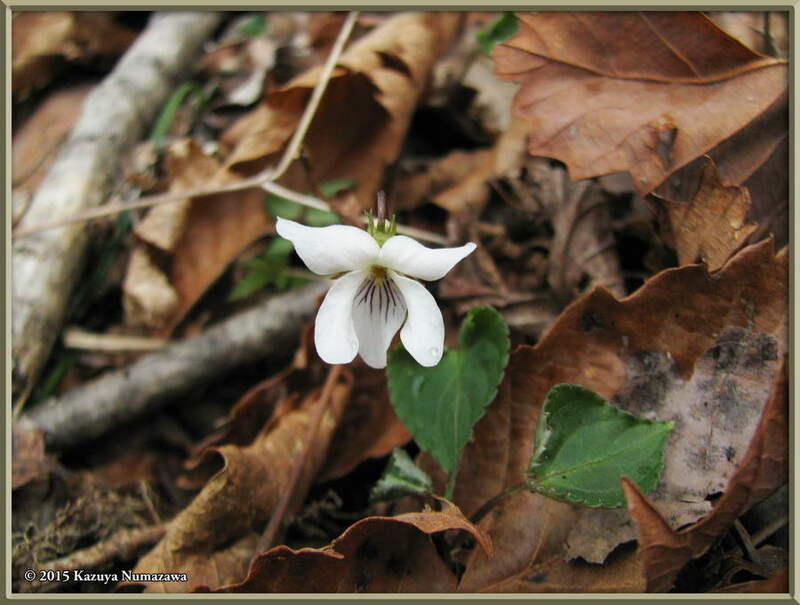 Here is another photo of Viola orientalis. The outlined area shows the area included in the next image. 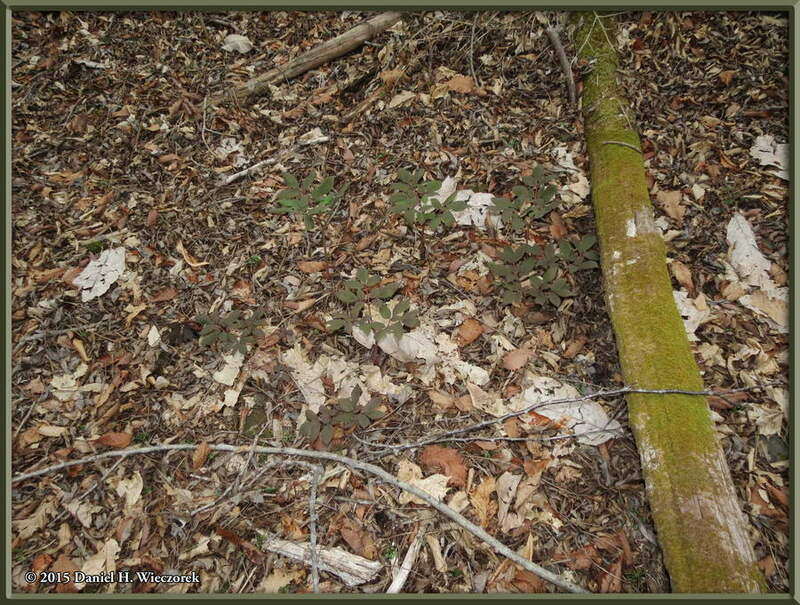 The 2nd image is the outlined area of the previous photo. The 3rd shot is another of Mt. Fuji and shows that it's now getting cloudy. Here is a more zoomed-in shot of Mt. Fuji. By noon or thereabouts it was so cloudy that there was not even a hint that Mt. Fuji existed off in that direction. 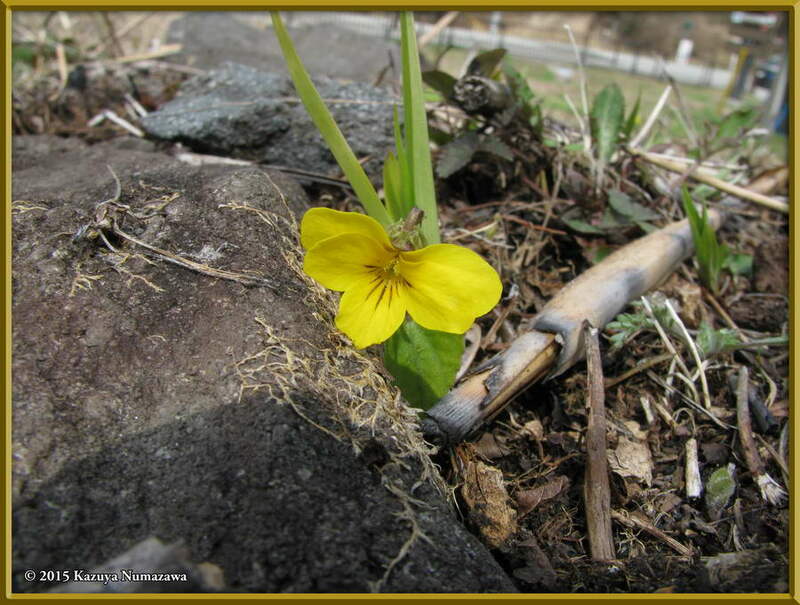 The 2nd image - Viola tokubuchiana var. 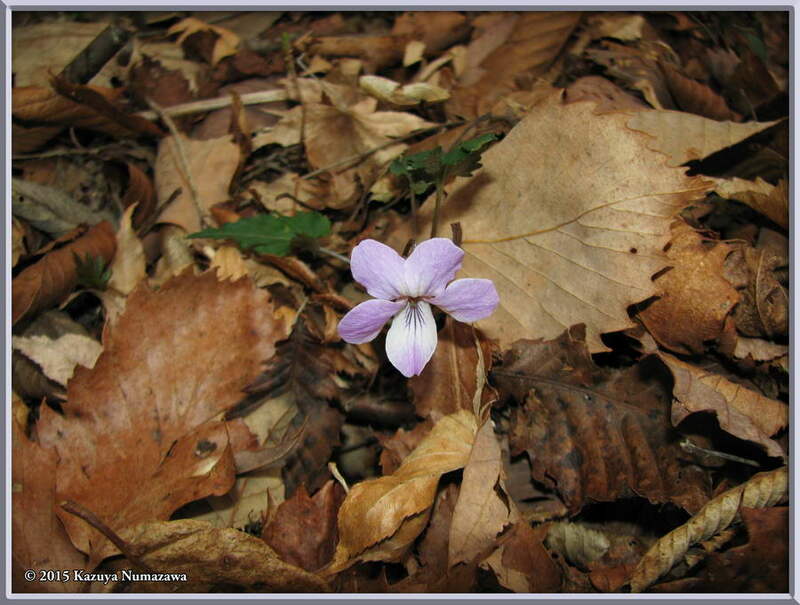 takedana - includes only the outlined area of the 3rd photo in this row. 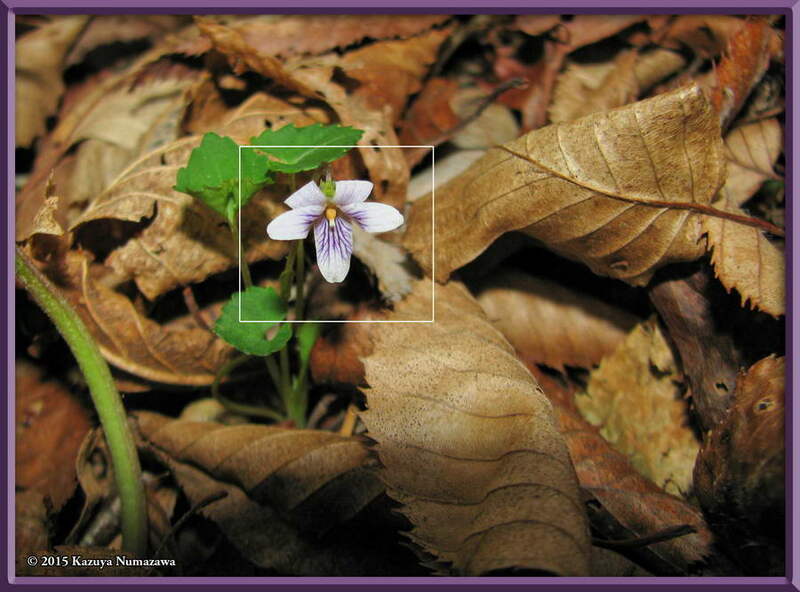 Here is a final shot of Viola orientalis. 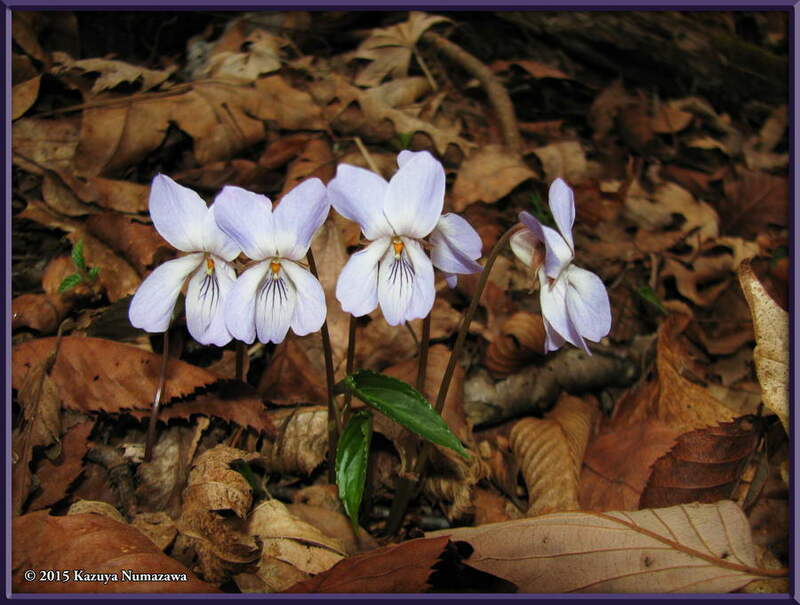 That is followed by another photo of Viola tokubuchiana var. 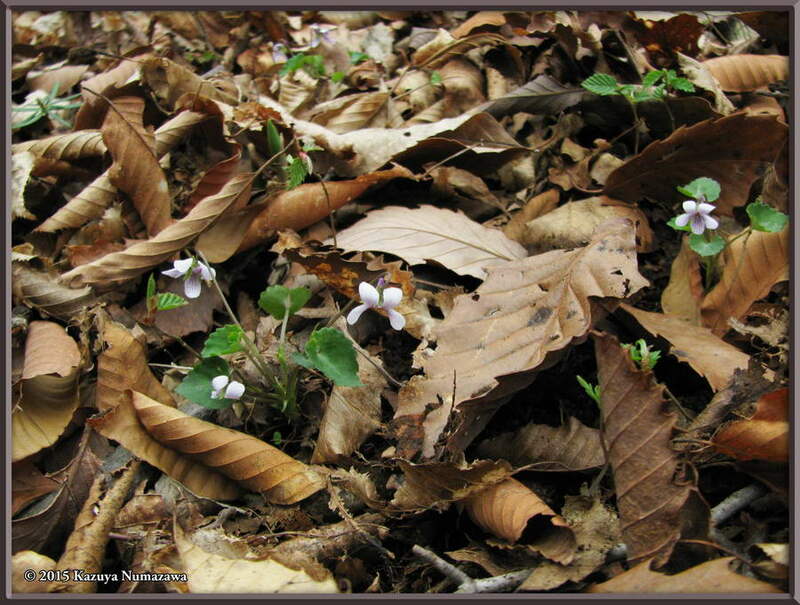 takedana and that is followed by a photo of the variegated leaf form, naturally it is a Viola tokubuchiana var. 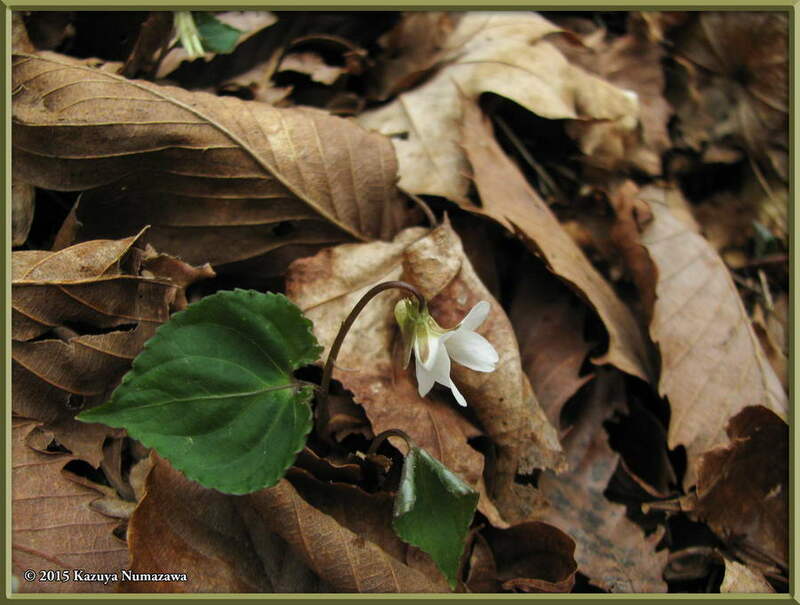 takedana f. variegata. 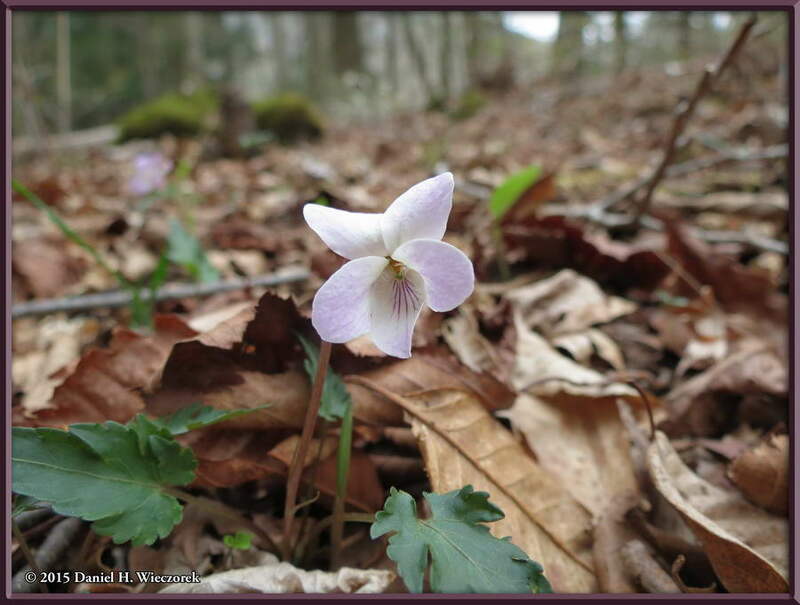 Here are 2 nice shots of Viola tokubuchiana var. takedana f. variegata which show the entire plant. 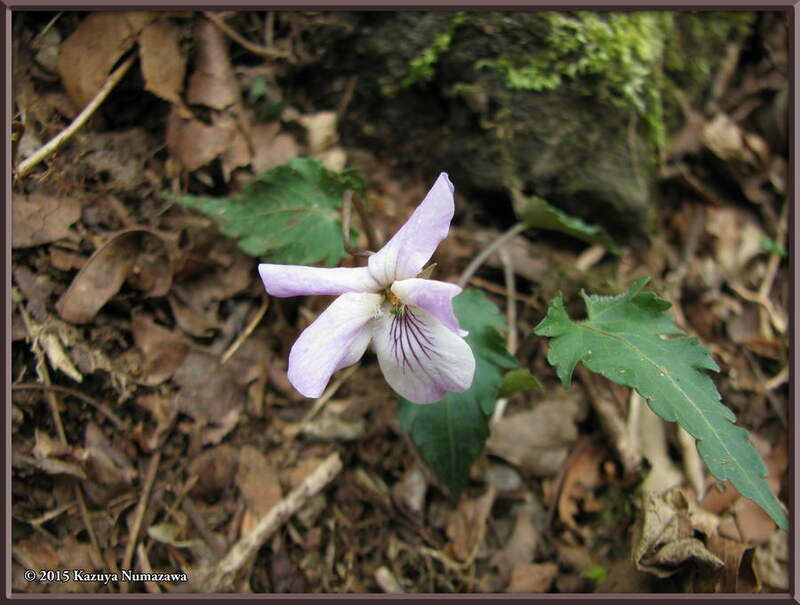 The 3rd shot is a rare Okutama Violet (Viola x savatieri). 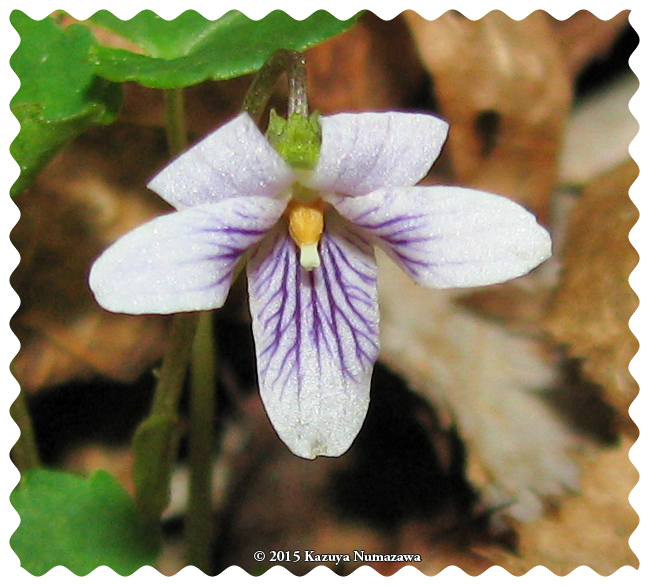 It is the hybrid of Viola tokubuchiana var. 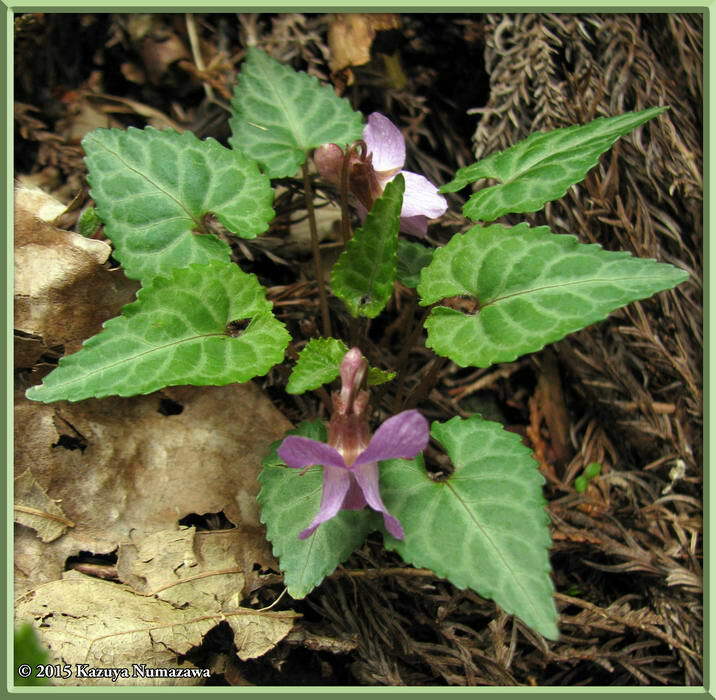 takedana and Viola eizanensis. 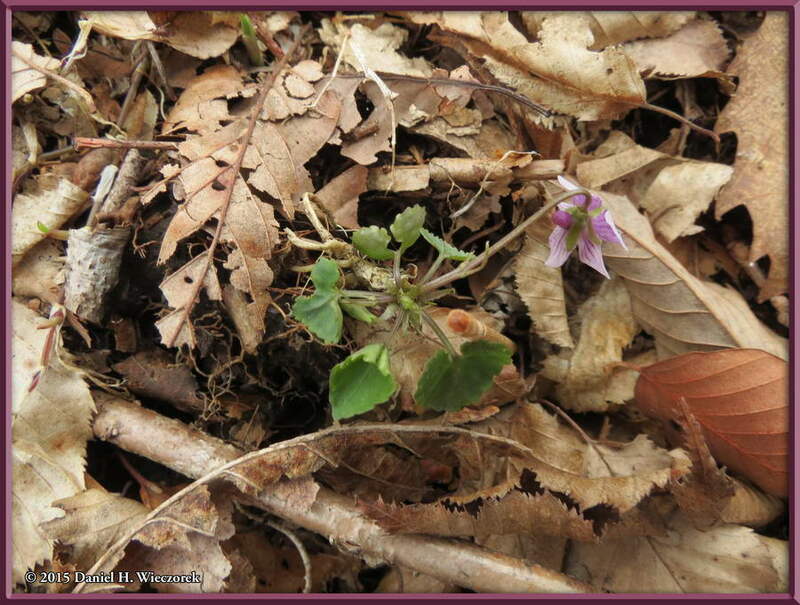 Last year the flowers were much nicer color. 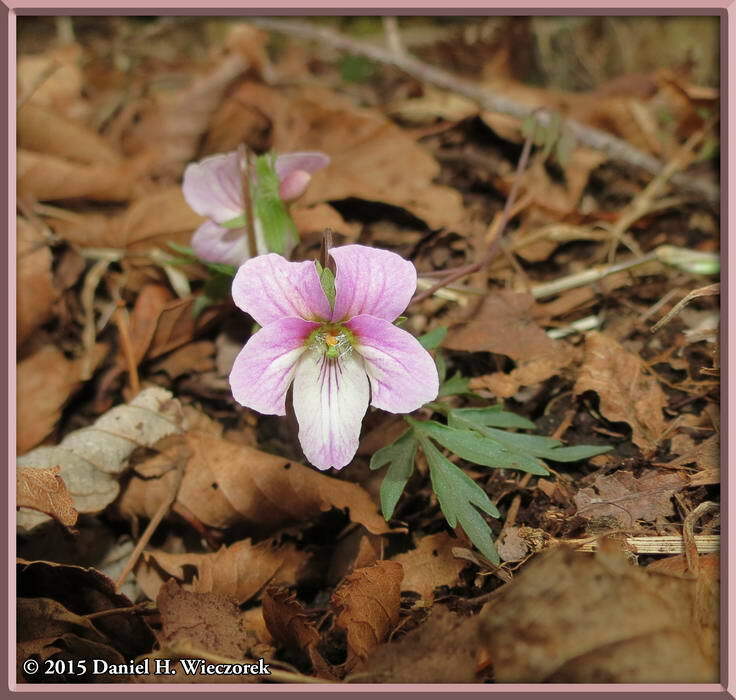 Is it possible that we got here after the peak of flower colors this year? 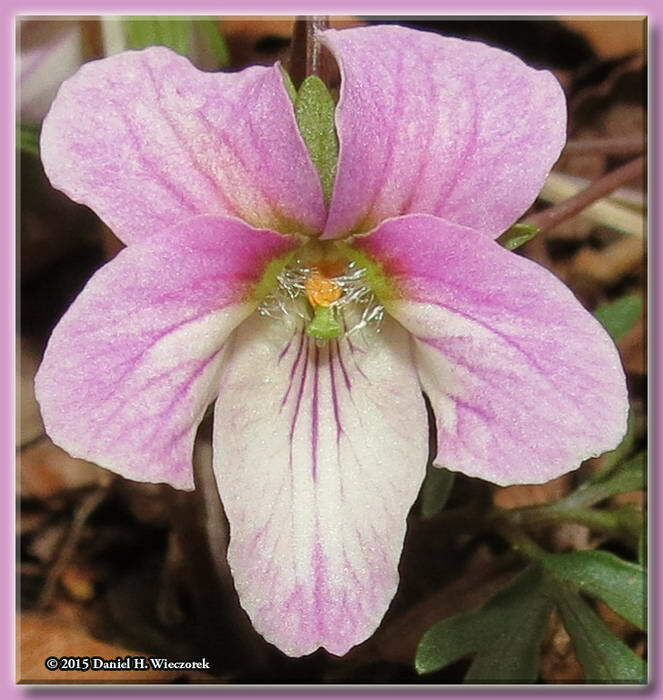 HERE is a link to the the page with last year's photos of this species if you'd like to compare the flower colors. 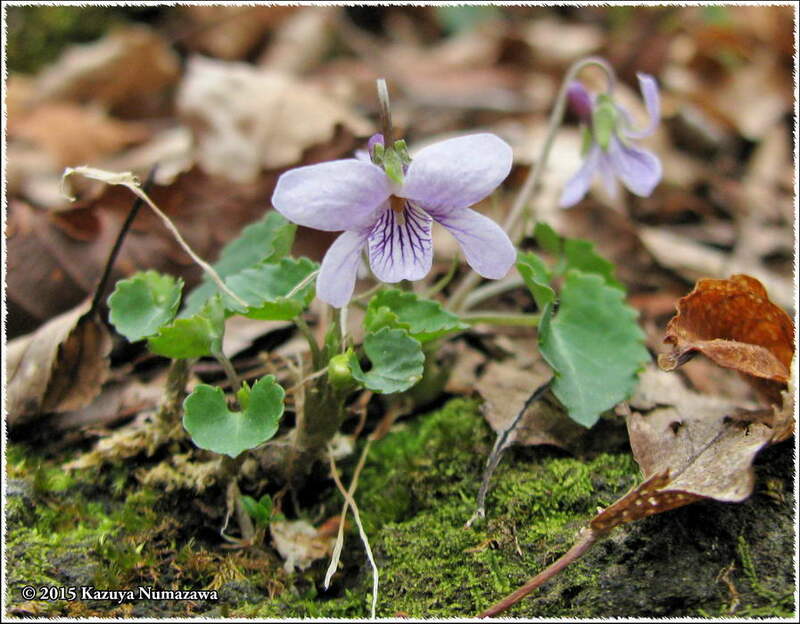 Click the above button for a Special Page dedicated to most of the Violets which we have identified with confidence. 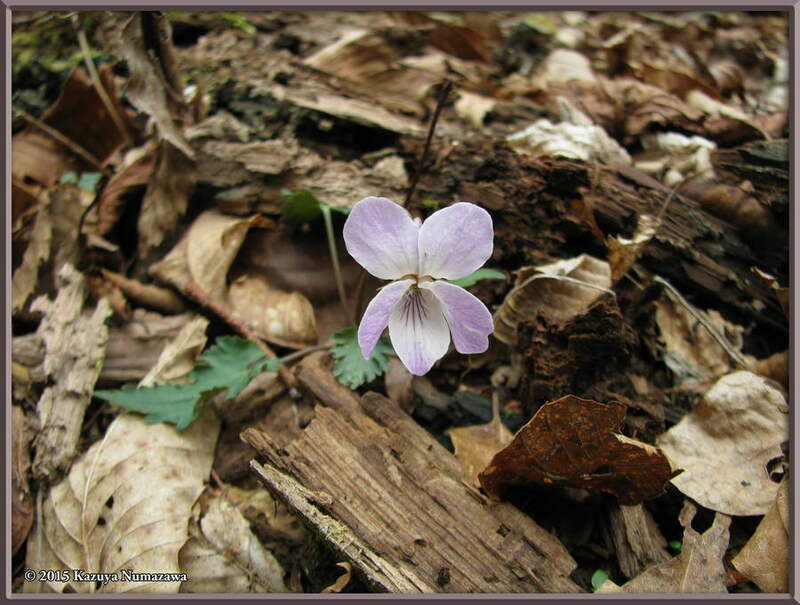 Here are 2 more shots of the Okutama Violet (Viola x savatieri). The first shot is an overview. 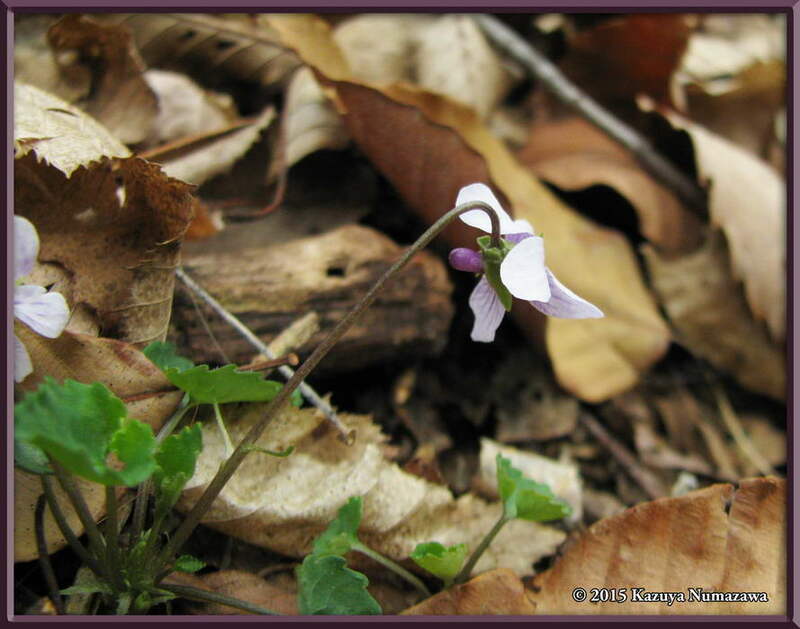 The 3rd shot is another of Viola tokubuchiana var. takedana. 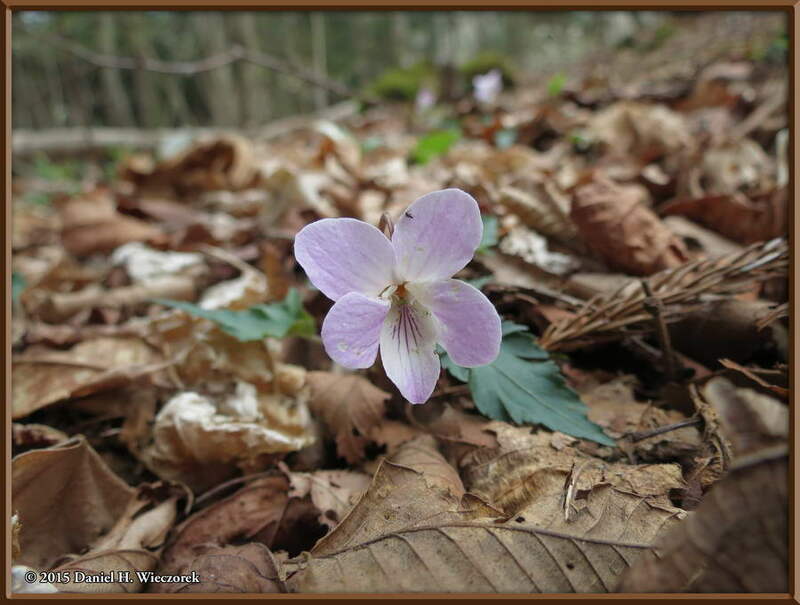 And here are the 3 more shots of the Okutama Violet (Viola x savatieri). 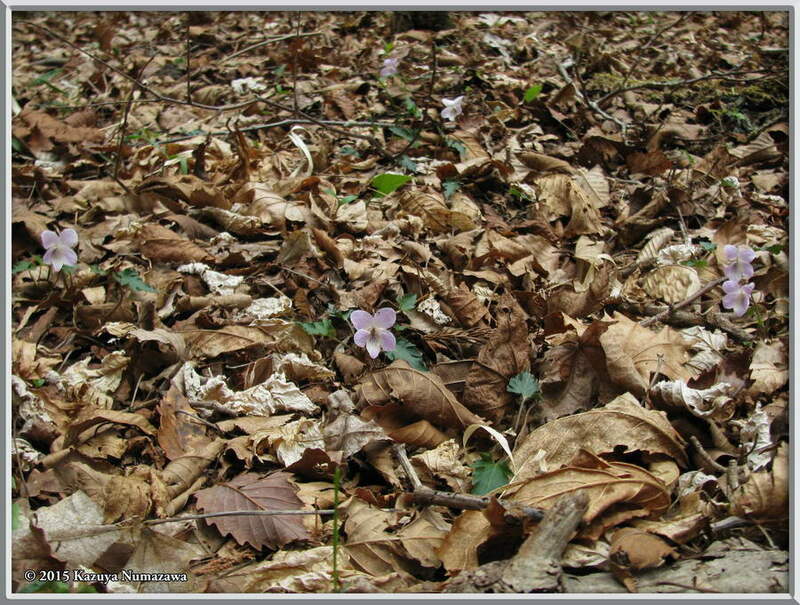 In the 3rd shot you can see 5 flowers. 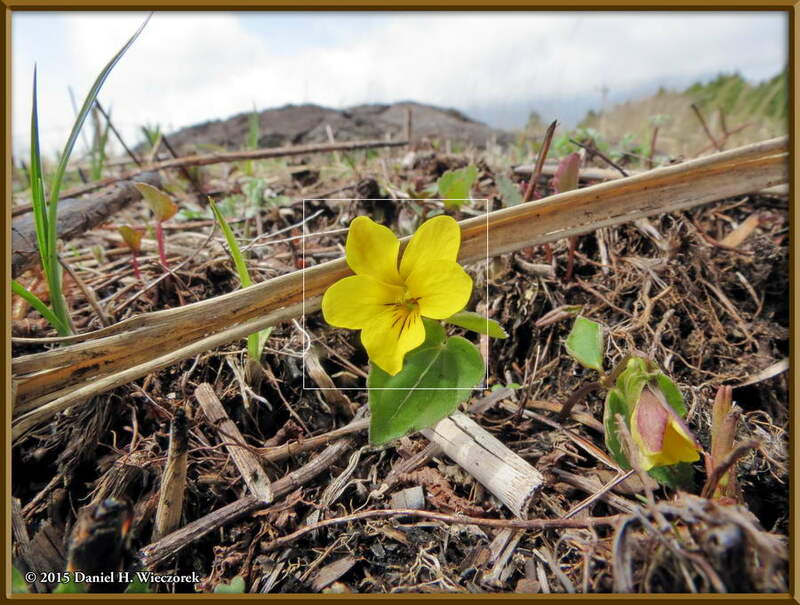 In this row are 3 images of Viola eizanensis. 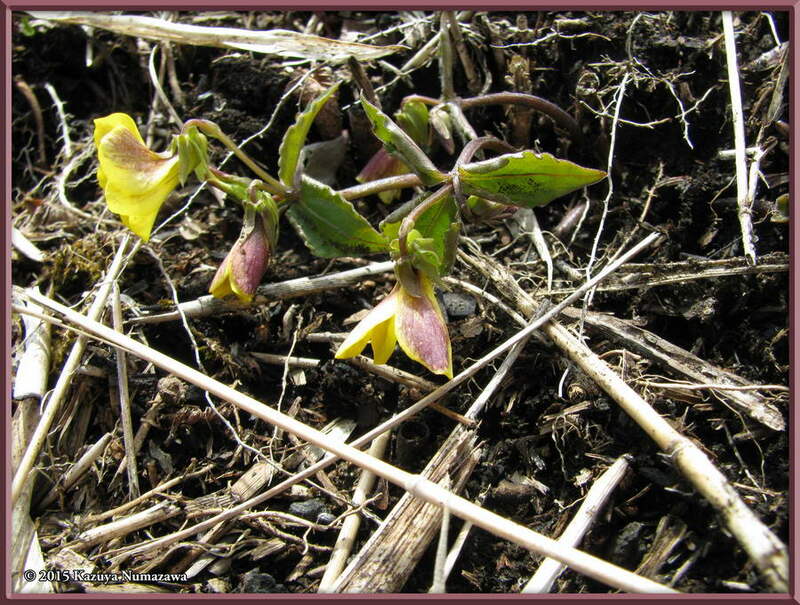 Please recall that this is the species which hybridizes with Viola tokubuchiana var. 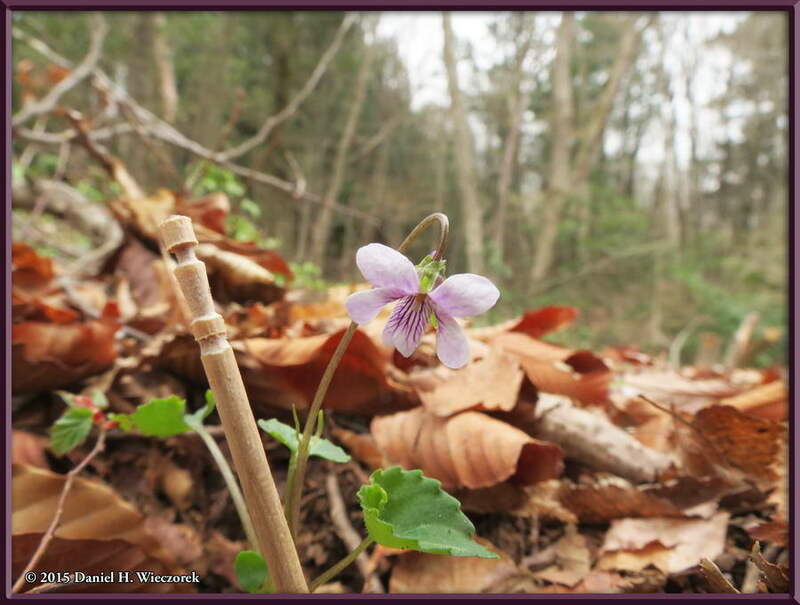 takedana to create the Okutama Violet. 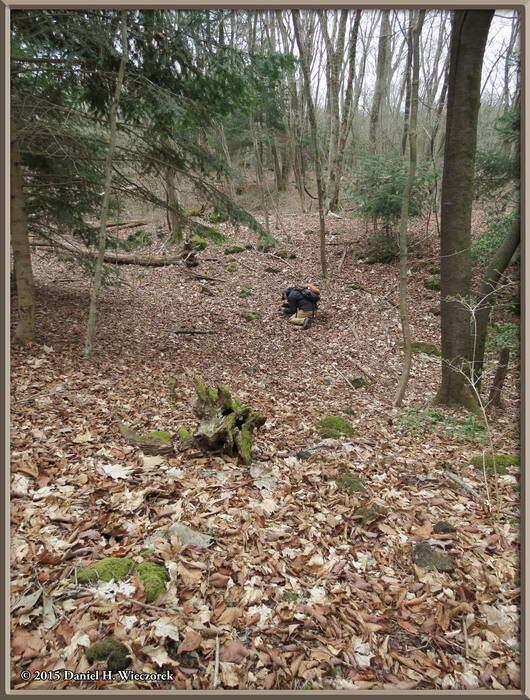 The 3rd image is, of course, the outlined area of the 2nd photo. 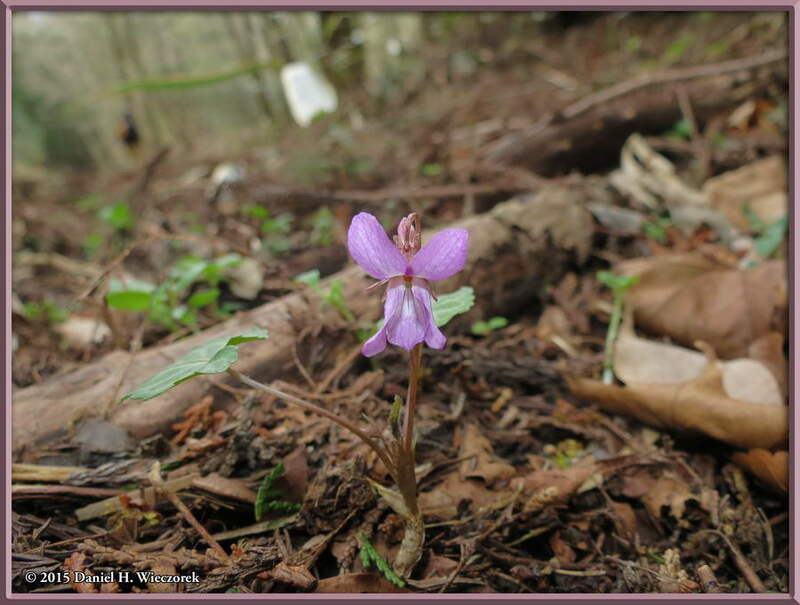 Here are nearly the final shots of Viola x savatieri. 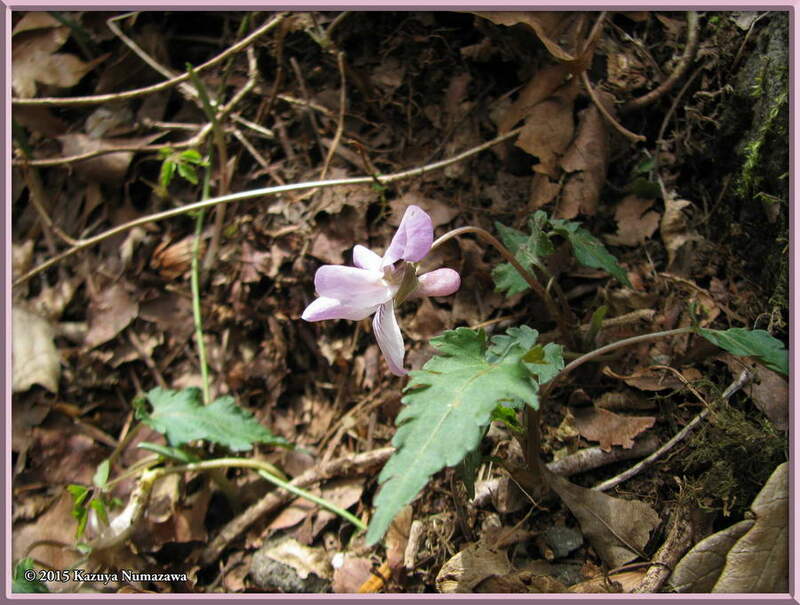 Sorry that there are so many shot of this species, please keep in mind its extreme rarity before being too critical. 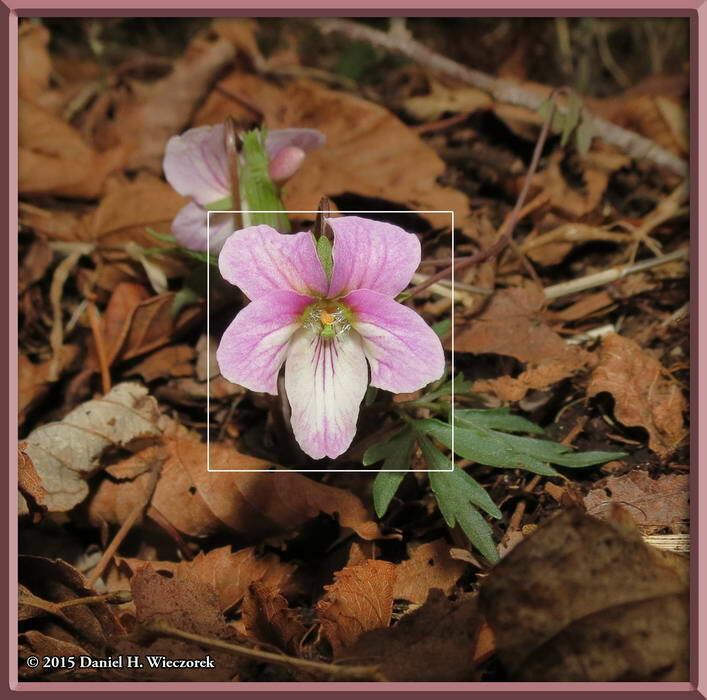 In this row is an additional shot of Viola x savatieri and that is followed by 2 images of Viola tokaiensis. 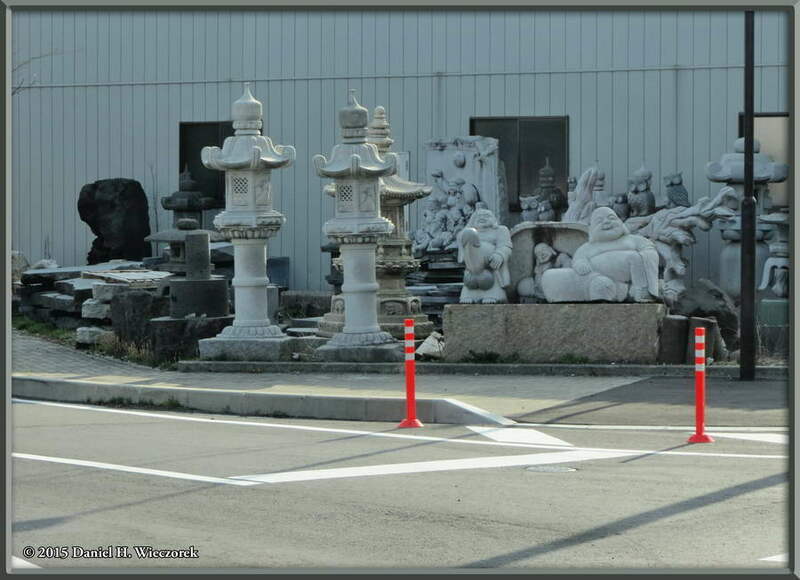 The 2nd image shows only the outlined area of the 3rd shot. 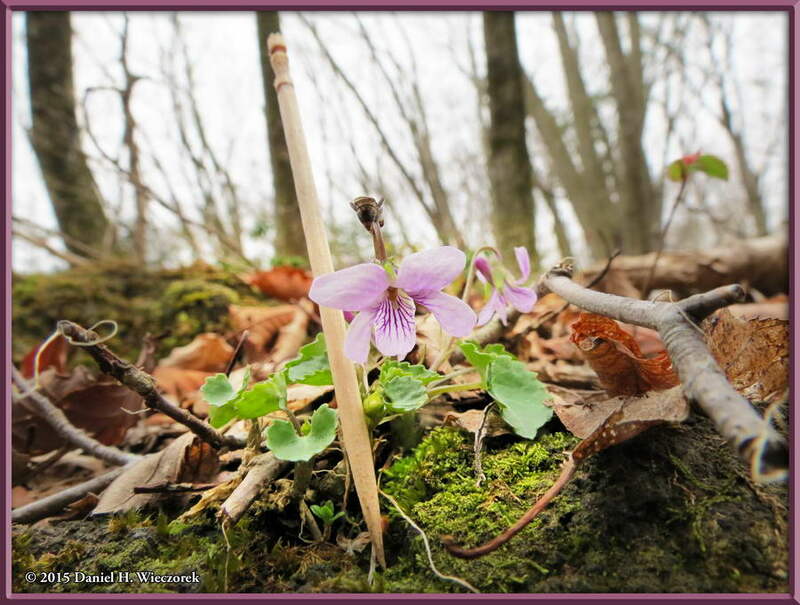 In this row in first position is a beautiful shot of Viola bissetii and that is followed by the FINAL 2 shots of Viola x savatieri. 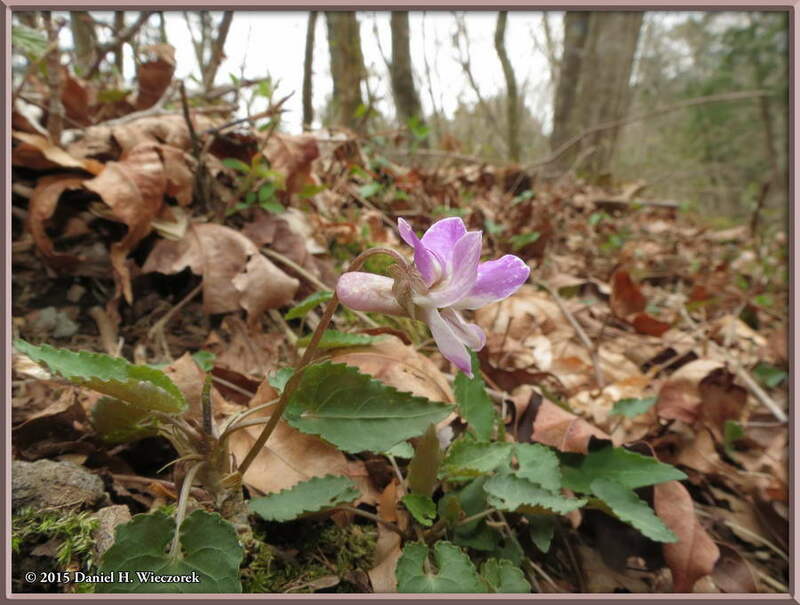 Enjoy, you won't see this species again until next year, if then! There are so many different micro-environments in this area. 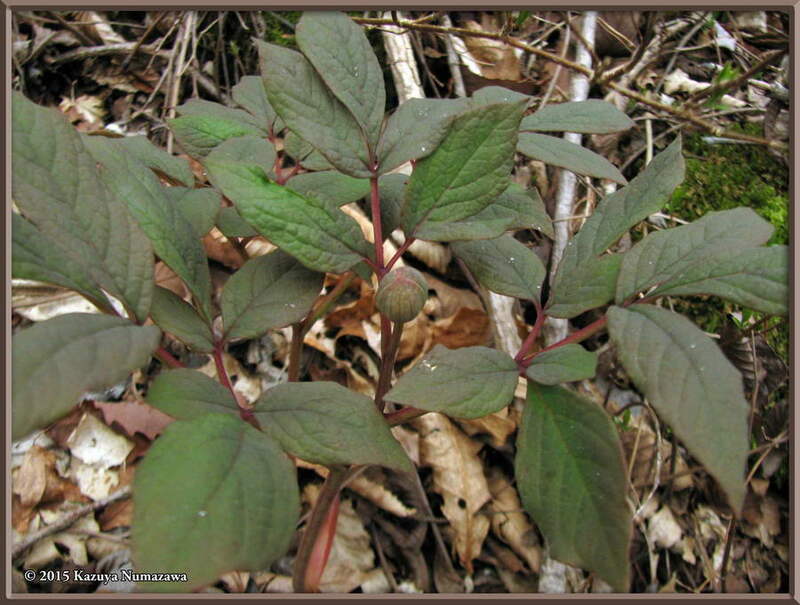 As we were walking through this forest we came upon this small valley which probably had (has) a hundred Paeonia japonica plants growing in it. The center shot shows the valley. 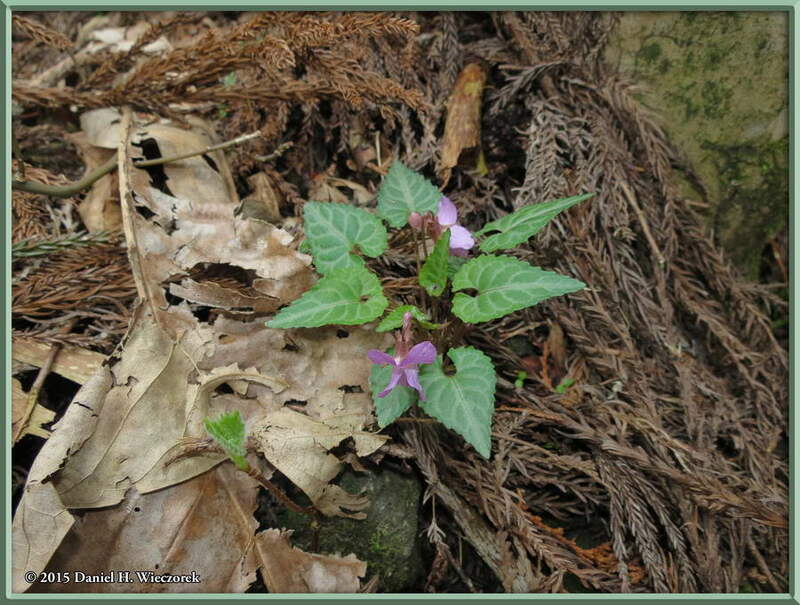 The 3rd shot shows several plants growing together. 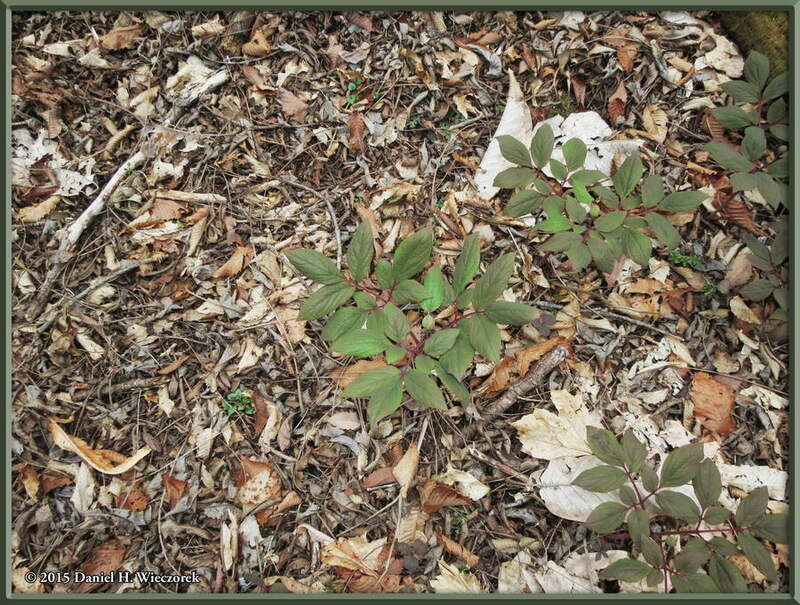 In 1st position in this row is the final shot of Paeonia japonica. The 2nd shot shows Kazuya shooting a Viola x savatieri - a very large overview of the environment where they can be found. 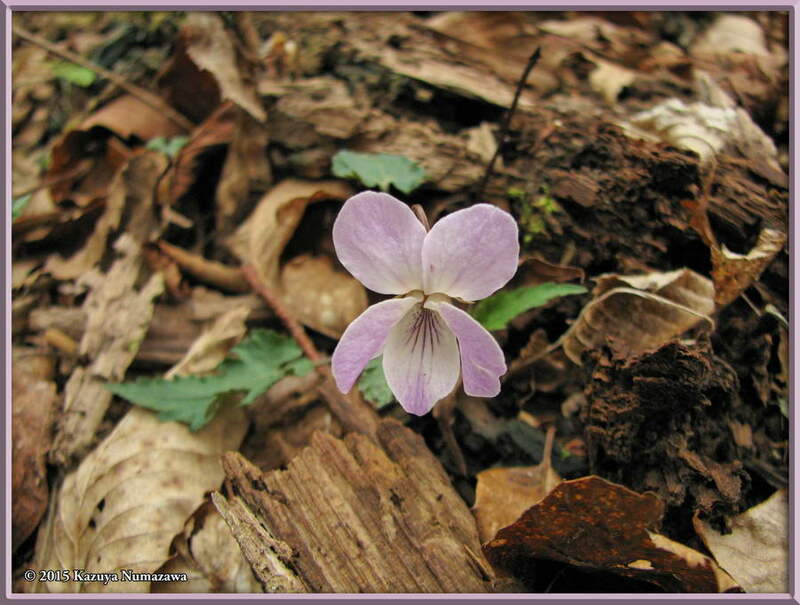 The 3rd shot is of a Viola shikokiana. 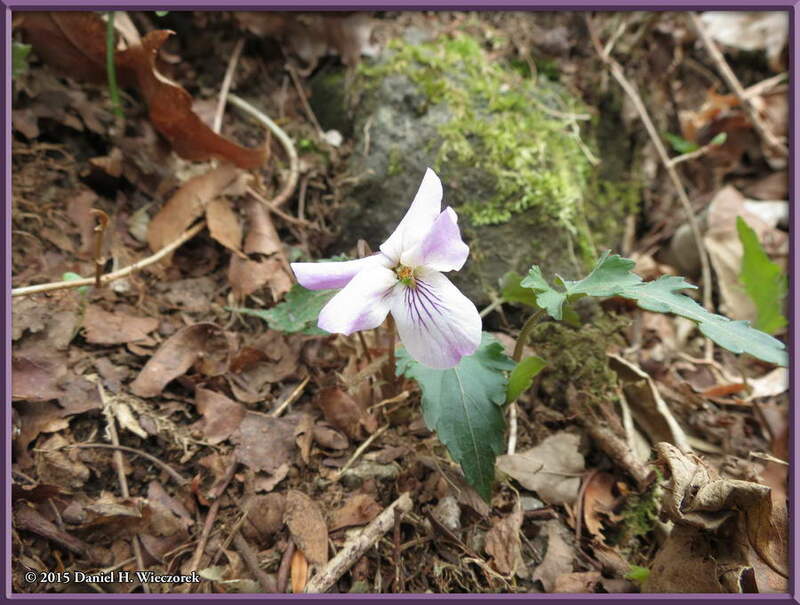 We do not find this one every year, and were rather surprised to find it growing here. 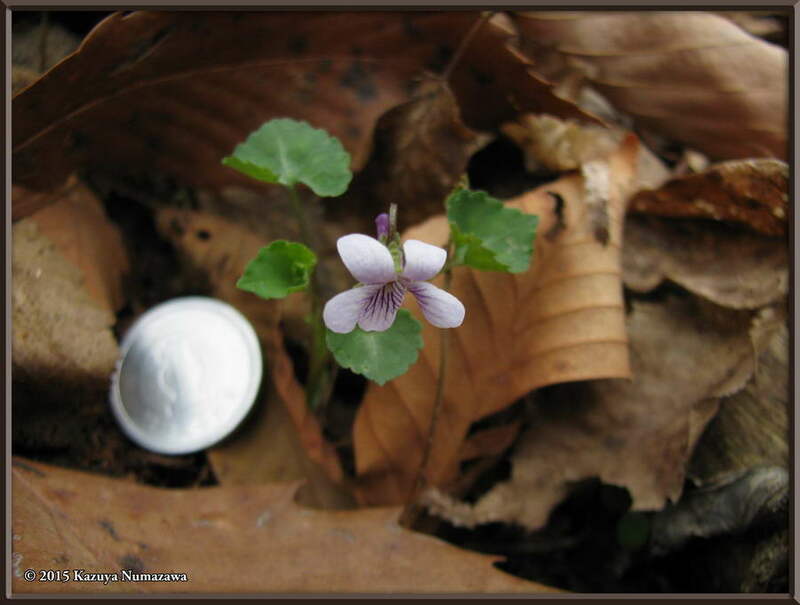 Here is a 2nd shot of Viola shikokiana and that is followed by 2 shots of Viola tokaiensis. In the 3rd shot Kazuya used a ¥1 coin for scale. As you will see in the next row, a ¥1 coin is 20.3 mm (0.799 in) in diameter. 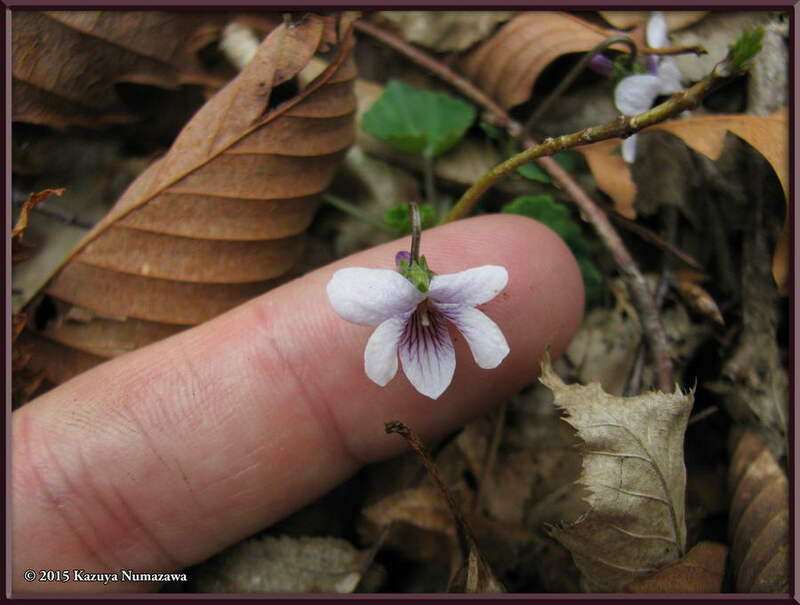 This is such a very tiny plant and flower. Maybe it's time to go back to Row 10 and study that center image again. 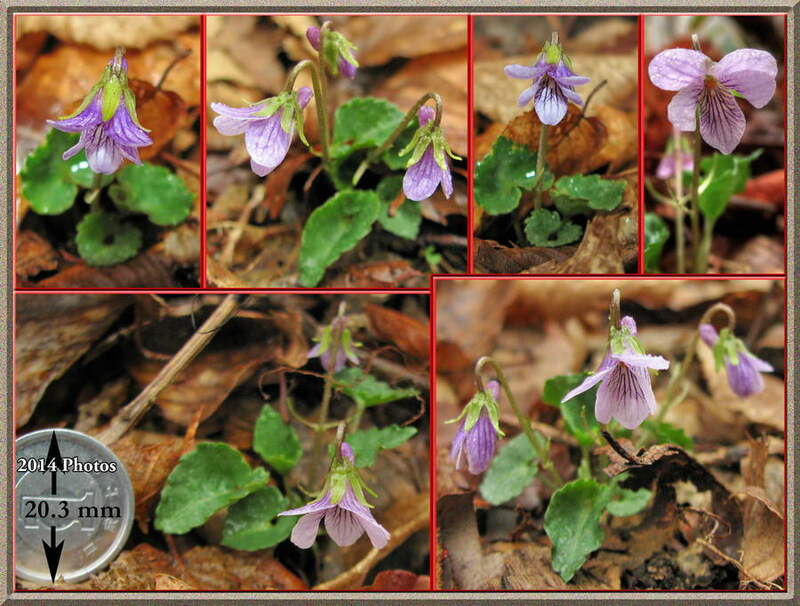 Here are 3 more images of Viola tokaiensis. 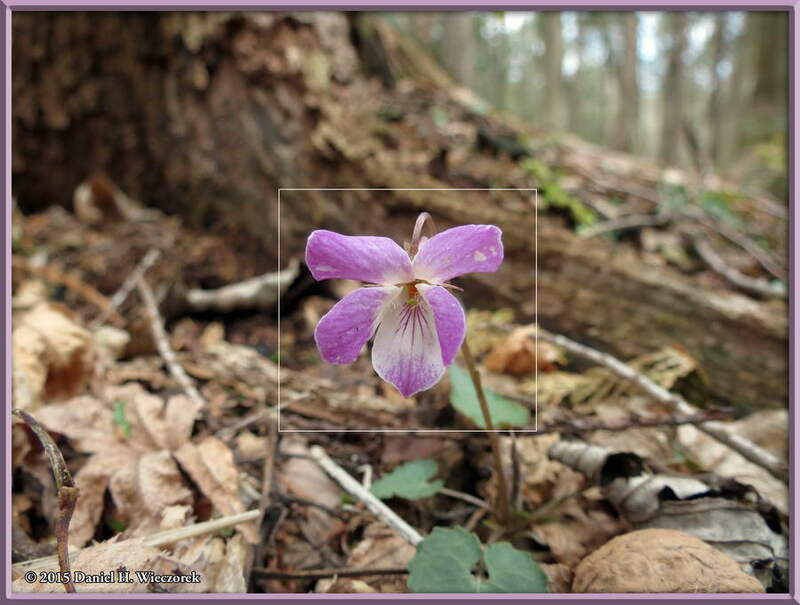 The center one is a collage of photos which we took last year and it is the image which you will see in the Some Violets of Eastern Japan - 2nd Edition book on page 52. 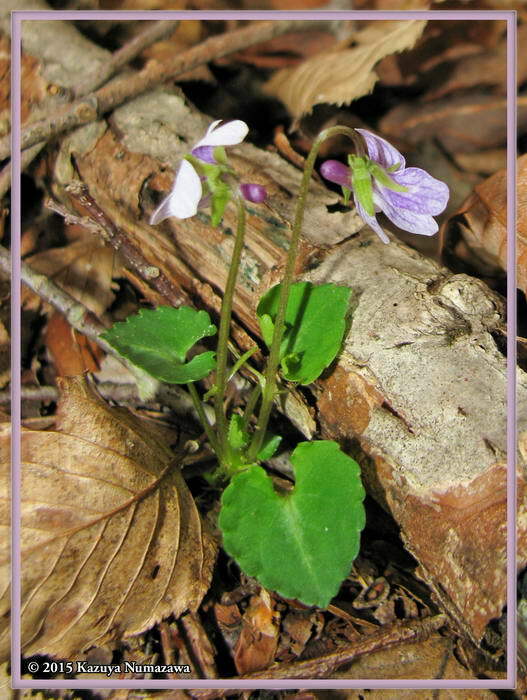 If you'd like to go to the page which shows the Violets Book and download the low quality, watermarked and secured against printing PDF file of this book then please go HERE. 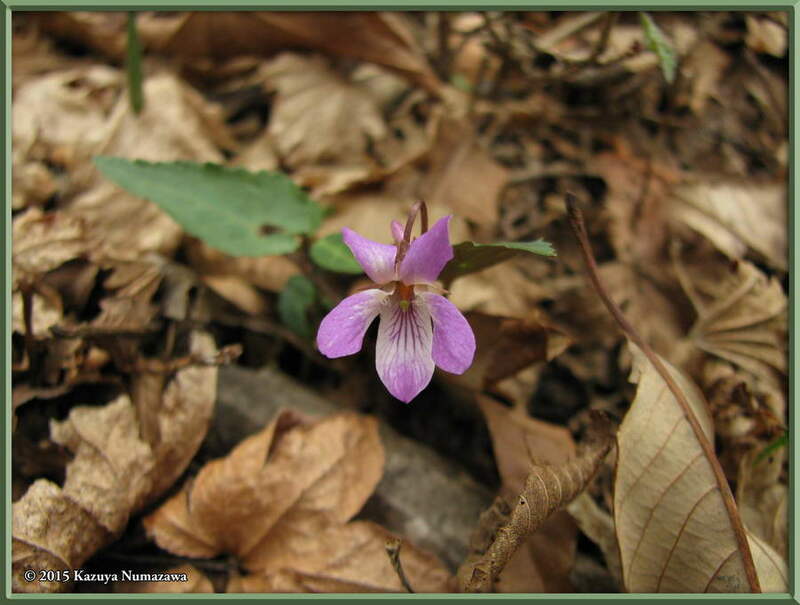 Here are 3 more shots of Viola tokaiensis. 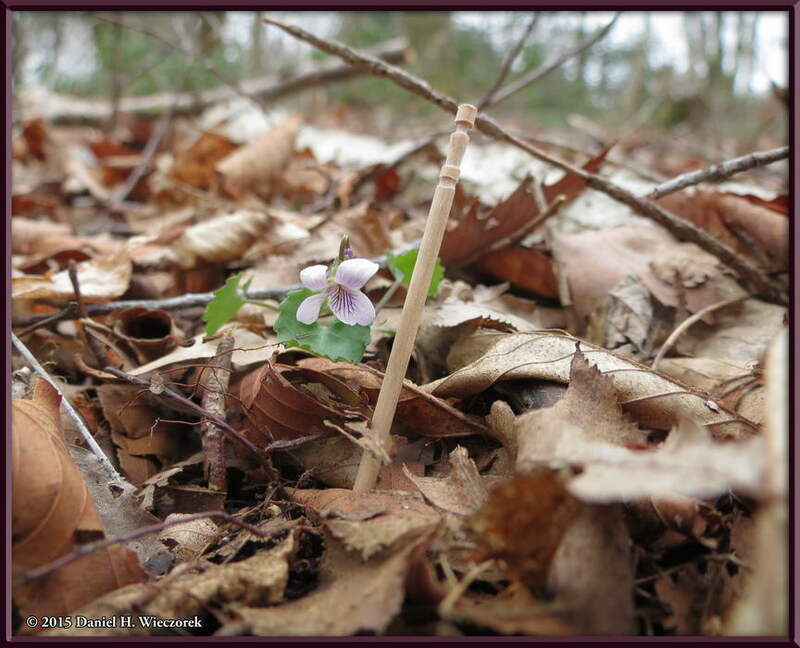 In the 1st and 3rd photos a toothpick is used for scale. And, before you ask, yes - it is a normal size toothpick, just like you have on your very own table for picking your teeth. 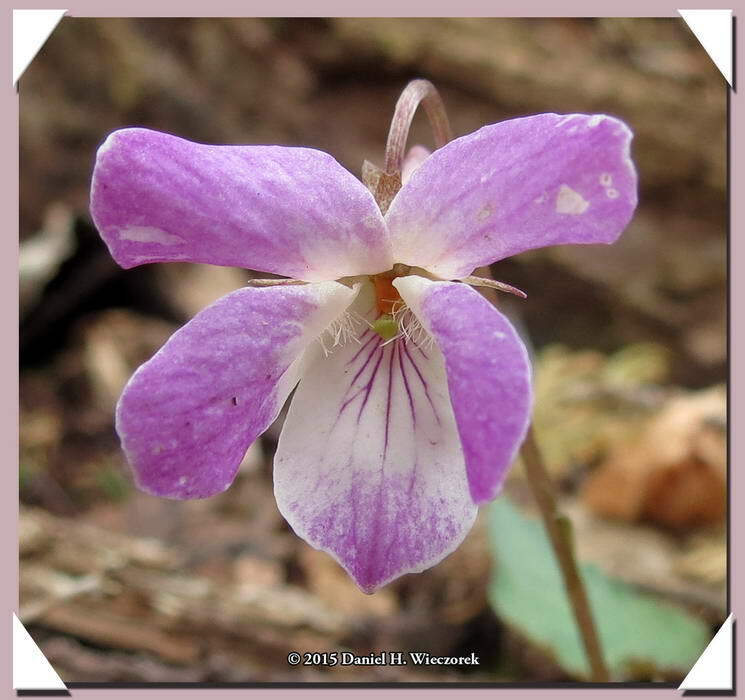 Here are 2 more shots of this Viola tokaiensis and then a very large overview shot of the type of environment where you might find them. 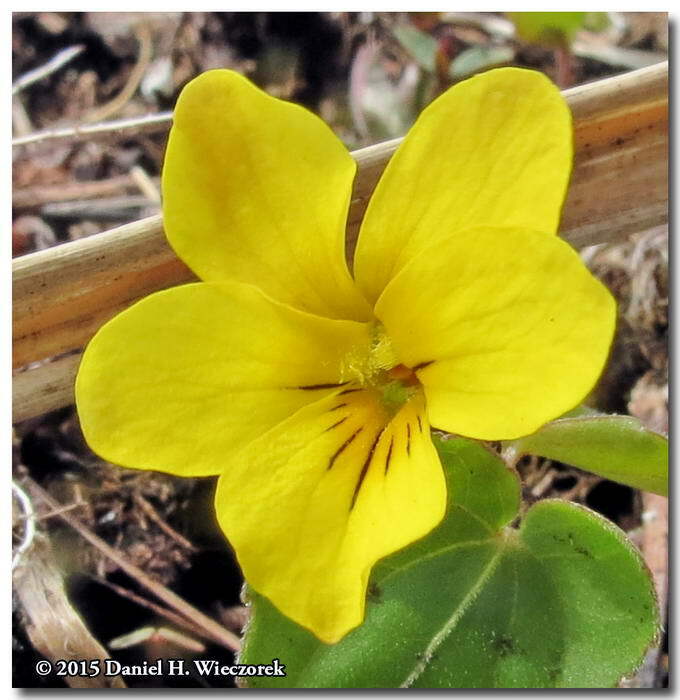 Here is the final shot of flowers on this page - a last Viola tokaiensis. 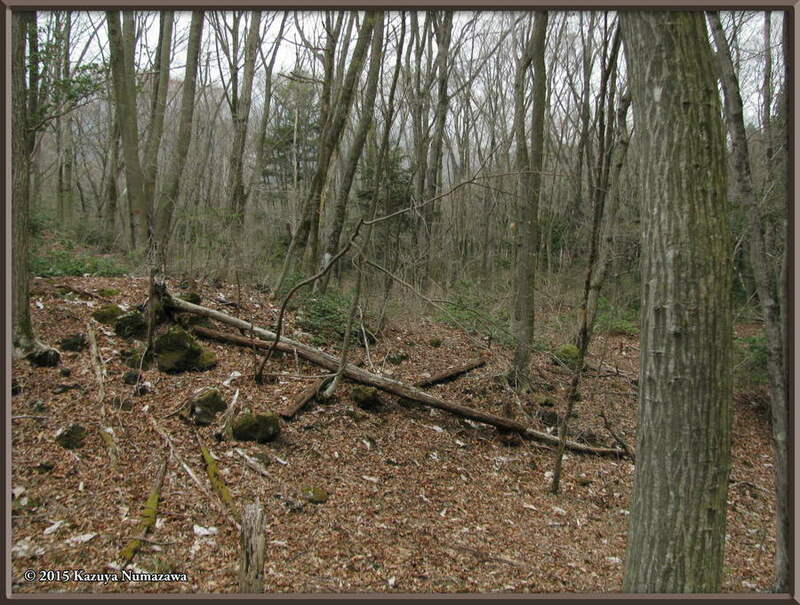 Then - as we were heading back to the main road Kazuya saw some movement. 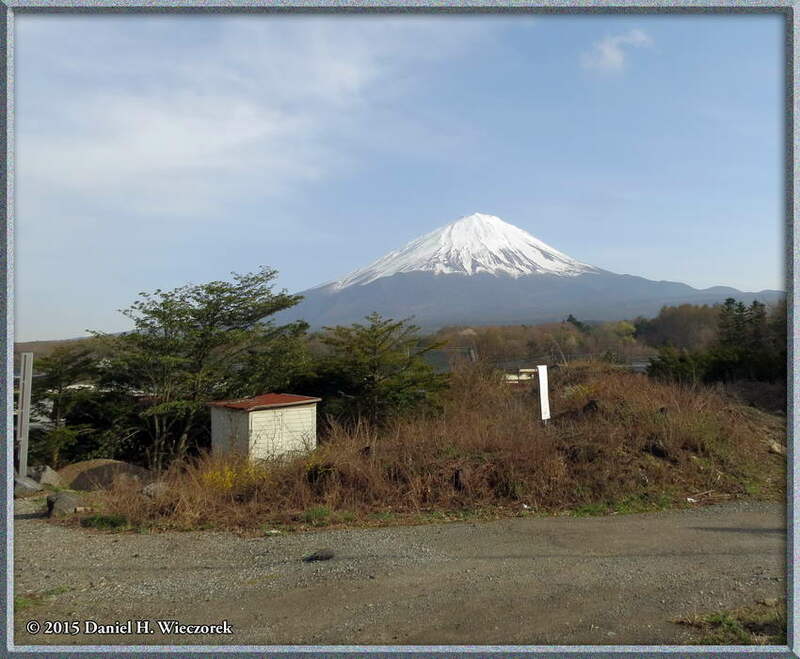 We stopped and studied what we were seeing and shot some photos, but Kazuya was not sure at that point what it was. He thought it might be an Anakuma, which translates to English as "hole bear". Later on, when we were on the bus headed back to the station he looked it up on Google, and he was correct. The full Latin name is Meles anakuma. 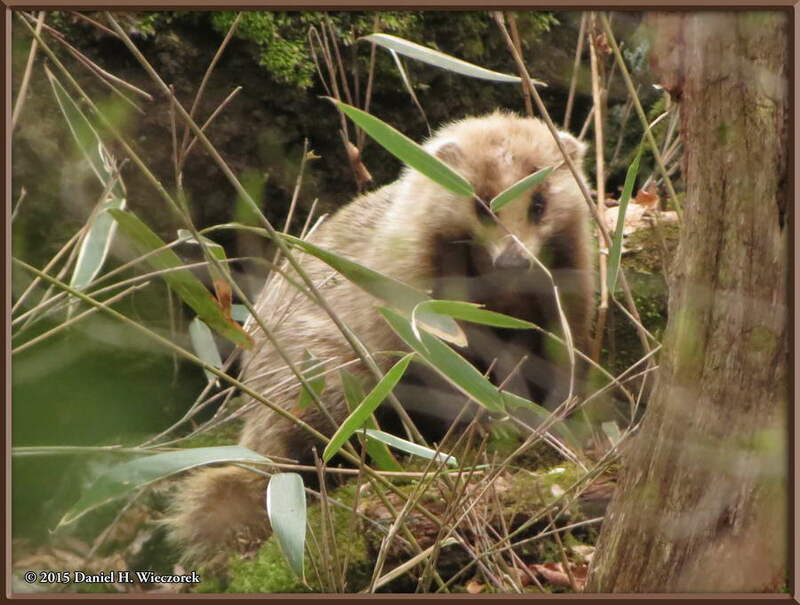 The English is Japanese Badger. 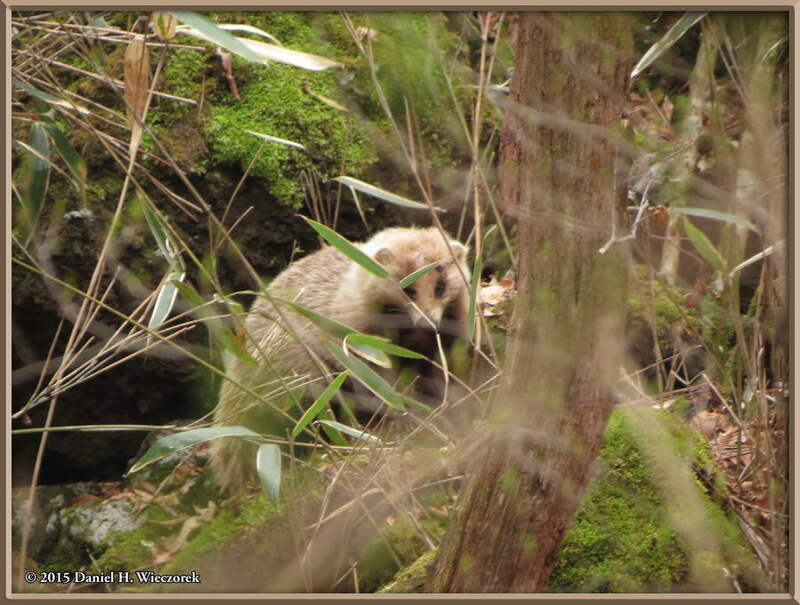 Here are 2 more shots of Meles anakuma - the Japanese Badger. 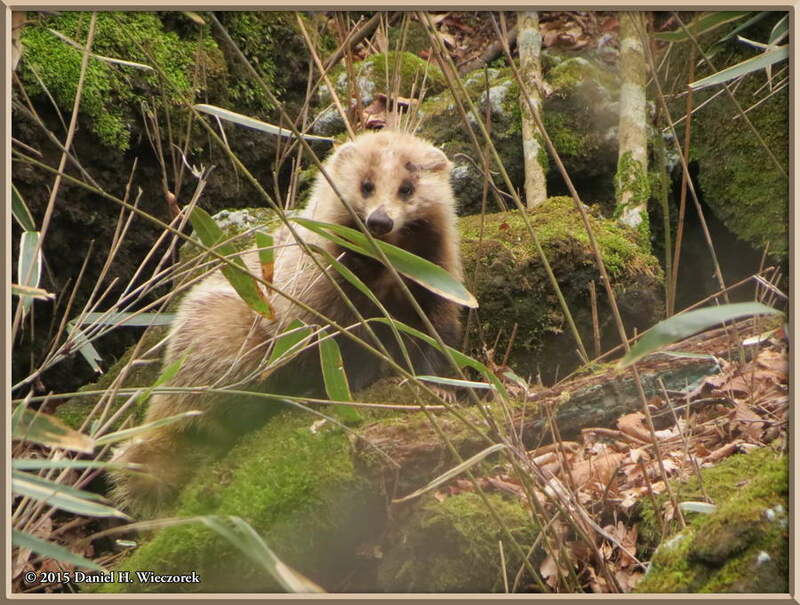 This is the first and only one of this critter we have ever seen in our 14 years of hiking in Japan's mountains, although Wikipedia says it is not rare. 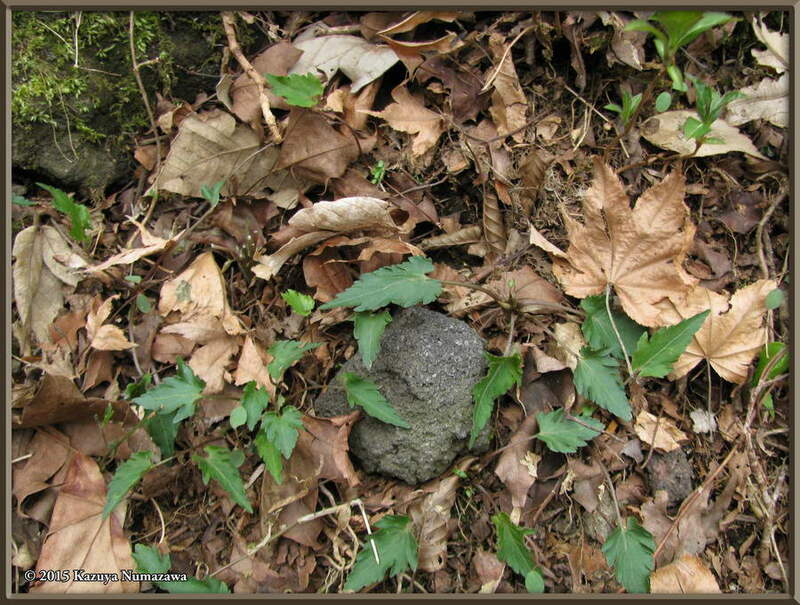 Notice, in the final shot, that it is hanging out in some moss covered rocks. 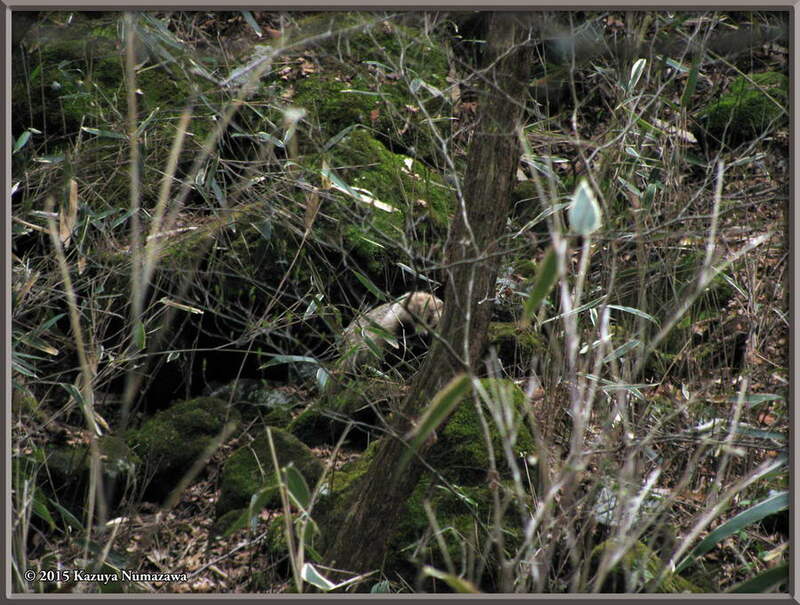 As we approached closer it disappeared into a hole under the rocks. As we rode the bus back to the station we passed by, right on the main highway, this rock sculptor shop which had the display shown in this photo. Do you see what I see? This is a 3-way intersection, so hundreds of cars, maybe thousands, see this every day. The final shot, also shot from the bus window, shows that Mt. Fuji has returned. The clouds have pretty much dissipated and said good-bye.